Canadians have better work ethic, and the government isn't out to ruin your life. That, according to Brian Shuster, is what differentiates Canada from the United States. It's also why this entrepreneur, after launching several successful startups in California, packed his bags and moved north to Vancouver. 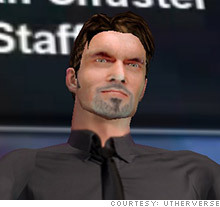 Brian Shuster, as his Utherverse avatar. It's not that he hates the States. Although he was born in Canada, Shuster grew up in Fresno, Calif. He also owes his riches to the millions he made in Los Angeles during the 1990s tech boom. "It fundamentally is just a business issue," Shuster said. "Things work here in Vancouver. I'm able to produce my product more efficiently, more quickly and at a higher quality here." That product is Utherverse, a massive multiplayer online game where more than 15 million registered users can chat, date and shop. He started developing the concept in 2004 with teams in Atlanta, Ga., and Lake Tahoe, Nev. But after two years, he moved the operation to Vancouver in search of a better business environment. Here's what he found. "In Vancouver, a person comes in with skills actually listed on their resume. And they're looking for a job to apply those skills," he said. That might sound obvious, but Shuster found it was quite different in the States. He often met candidates who didn't have the skills they said they did. What mattered to them most was attaining a higher title and salary. Shuster also feels that Canada's education system better prepares its citizens. In measuring literacy and graduation rates between 2006 and 2010, the Economist Intelligence Unit ranked Canada No. 10 in the world, far ahead of the United States at No. 17. Shuster calls Vancouver's software developers and artists the best he's ever seen. And he prefers workers' attitudes in Canada. "When I had staff in the U.S., it was much harder to find employees who would invest themselves for the long-term," he said. "In Vancouver, building something meaningful seems prioritized over the quick hit." 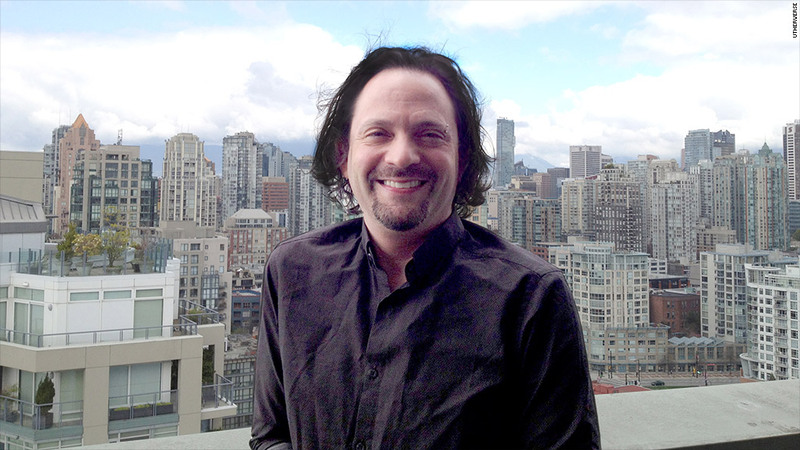 "I jokingly refer to the Canadian government as my venture capital partner," he said. For five years straight, Shuster has received a check from the Canadian government ranging between $300,000 to $500,000. It's part of the Scientific Research and Experimental Development program, which refunds private companies involved in high-tech ventures up to 68% of a qualified worker's salary. A $100,000 employee costs only $32,000. "It does allow me to have talent I otherwise wouldn't be able to afford," he said. "It's increased the qualification and skills in my company." As for Canada's reputation for imposing a lot of regulations? Shuster is not worried. "What concerns me isn't the regulation," he explained. "It's that regulation is dealt with in a rational manner. I don't think it's possible to get rational regulation in the United States. Congress is just too dysfunctional."